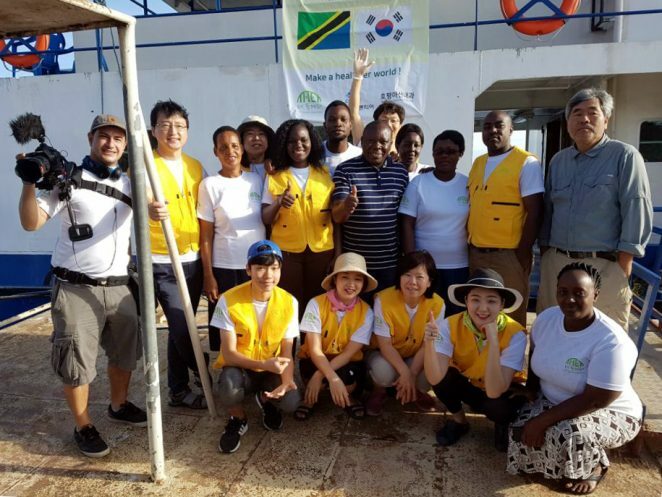 Together in Tanzania is a short-form documentary film that I recently produced, it is a story about the journey of five South Koreans that travelled far from home to help those in need of medical services in Tanzania’s rural areas. This video shares their thoughts and experiences of their journey. The purpose of the film is to convince others to join the journey and volunteer. Dr. Bae visits Tanzania every year to help it’s local residents in need of medical attention. The film was shot over a 9 day period in various rural areas of this beautiful country. 6 days were spent providing medical services and /or travelling, two days were spent in Serengeti National Park & Ngorongoro, and our final day was spent traveling to the airport to come back to Seoul. The schedule was extremely tight and we were constantly on the move which I really liked because I learned so much about working efficiently. Everyday the team would work almost non-stop from 9am to about 5:30pm. They would sometimes need to travel to and from the locations as well which added to that time. By the time we were finished eating and I had prepped my equipment for the next day there wasn’t time for much else. This was pretty much how the first 6 days were, really busy, fun, and sometimes tiring. 3 days of the first 6 were spent on a boat and I was lucky to have a separate room to charge batteries, prep equipment, offload footage and create backups etc. On most other days we were in smaller hotel rooms which was more manageable. On the production side of things I packed very lightly this time around. The video was filmed with a 5D Mark 3 and a DJI Osmo. I packed a 70-200mm lens but didn’t really end up using it, so the entire video was shot on a Canon 24-105mm lens with IS, a simple but really effective plastic shoulder rig, and a Sennheiser wireless mic. I had my tripod with me as well but I didn’t need to use it much. I wanted a handheld look for this video so I used it only when it was necessary. The DJI Osmo was a fantastic tool for this production, it made any shots taken on a boat or in a vehicle look really steady and professional, it’s also a decent tool to use walking around. It’s not the greatest tool to use in low light but when used outside and exposed properly it looks great. I also had a small macbook air to offload footage and back it up. I had essentially gone into this production with a pretty clear vision of what I wanted before I started shooting, this really helped me be efficient with my work. By knowing this, I was able to know when I had enough footage for each day and in many cases what specific shots that I needed for the story. Mind you, I had a tendency to overshoot as I was so excited to be there that I wanted to take full advantage of the opportunity. Finding windows to shoot interviews for this video was probably the most challenging part. Everyone was so busy that there were not many chances to do this, we also had some fairly windy weather towards the end of the trip which made recording Dr. Bae’s interview more difficult. If I were to have done anything different with this video, I would likely have dug a little bit deeper with the interviews and I would have possibly shown a little more of their struggle of having to work so hard during the first six days. Overall I am very happy with the turnout of the project and I am really hope that I will be travelling overseas more often to take on theses types of projects.